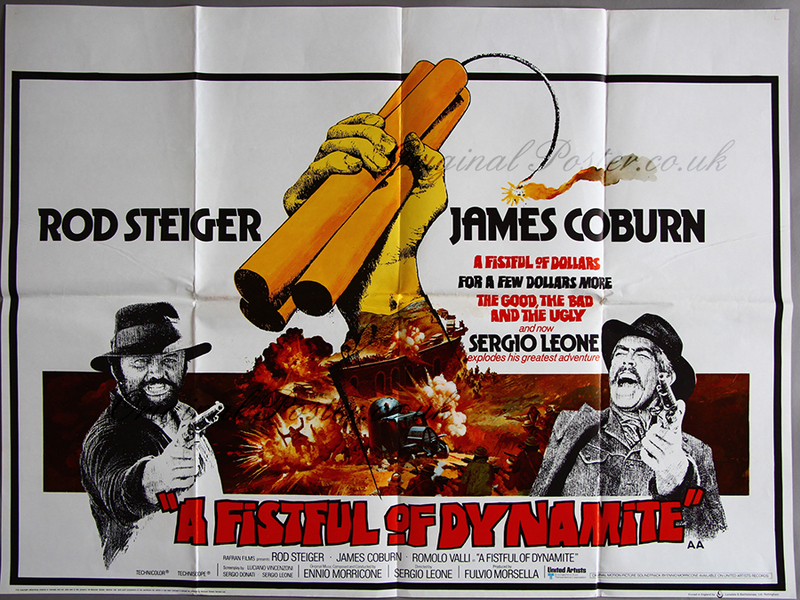 Film Star Rod Steiger, James Coburn, Romono Valli, Maria Monti, Sergio Leone (dir). Details This spaghetti Western sequel to "A Fistful of Dollars" trilogy directed by Sergio Leone was originally titled "Duck, You Sucker!" As you might expect therefore the film has a comic element and laughs are fast and furious with deadpan comedy mixed with the explosive talents of Coburn who plays a walking arsenal.